Outstanding service from first contact thru the final day of tour everything was as advertised and the entire tour was all that I had hoped for. I travel extensively in rural areas like Tibet, Africa, and Bhutan etc and did not expect the high standard shown by Travel All Mongolia. The company kept me very well informed on every detail and was superb in advising the tour to my interest and ability. The guide, Sarah could not have been better and drivers were outstanding. I have been so pleased that I was lucky enough to find such a professional and responsible tour Company. I will definitely use them again and recommend them to everyone. We had a great trip; very worthwhile. Our guide was superb, accommodations quite good and the tour very worthwhile. 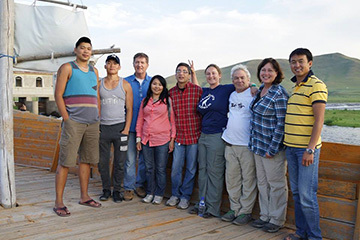 The first Ger camp (Gobi Nomad Lodge) was excellent: great food and accommodations. The staff was really good and the Chef cooked superb food. We particularly liked his cooking demonstration. Our Guide, Boloro, was fantastic. She was caring, conscientious, always on time and knowledgeable. We enjoyed spending time with her and getting insight into Mongolian culture. She's a real asset to your company. Your drivers were great and knowledgeable. I can't imagine running a trip like yours without competent drivers. They did a great job. 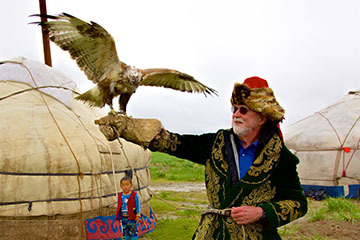 We depart Mongolia tomorrow with very warm feelings about your country and culture. Your operation is first rate and professional. Feel free to use our comments as a testimonial. Just returned from a tour of the 5 Central Asia Stans, which I started shortly after our tour in Mongolia. My daughter, son in law and I thoroughly enjoyed our tour in Mongolia. UB was a pleasant surprise - a very lovely city, and the Gobi was exceptional. Our guide, Bud, was fantastic, and greatly enhanced our enjoyment of the tour. She was knowledgeable, accommodating, and just a sweet and lovely person. Your Gobi Nomad Lodge facility was top notch, especially the excellent food prepared by the chef. One suggestion is that as part of the Gobi experience, you add a dinner cooking class with the chef. We very much enjoyed our dinner cooking experience with him. Best regards and wishes for your success. I'm doing well, and as far as sharing feedback about the FAM, and Mongolia, I had a fabulous time! It was one of the best organized trips I've been on, our guide Bulgaa was excellent! Any time, any one, had any questions or requests, she was there on the spot. The experience of sleeping in gers was super! Donna & I were able to upgrade to en suite at two locations, which was very convenient. Everything we saw and did was very educational and enjoyable. The Ramada personnel were also great. I had a fabulous time. Thank you for allowing me to participate! 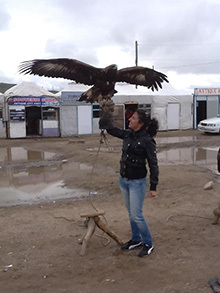 Travel All Mongolia put on an excellent tour, well organized with comfortable vehicles, functional & comfortable Ger camps, and a very knowledgeable and personable guide whose love for her country shows. We were well taken care of from the time we landed in UB until we departed UB. The itinerary brought us to numerous major landmarks in less than two weeks, although the fast pace did require significant travel time each day. 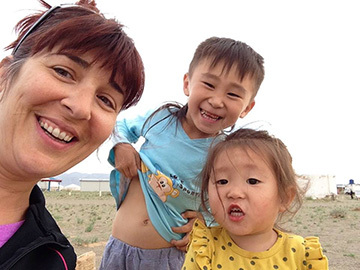 We truly enjoyed the Gobi, your beautiful & majestic national parks, eating local food, learning about your country’s religion, history and culture, meeting local nomadic families and learning about their way of life. I highly recommend experiencing Mongolia through "Travel All Mongolia". I’ve been meaning to write to you and thank you for the wonderful trip to your magnificent country. Every time we turned a corner there was something new and different to experience. Serjee was a wonderful guide, we enjoyed very much being with her. She obviously loves Mongolia and was willing to share so much of herself (and her family) with us. Visiting with her parents in their home was certainly a highlight. The drivers were the best. We all felt very safe with them thru the mountains, rivers, whatever. They participated in activities with us. And even though they didn’t speak English we all communicated. Everything else was great. This was one of the best trips I have ever taken. Thank you for offering it to us so we could see your wonderful country first hand. It is truly an experience, to be with the family. Very impressed with what the desert had to offer. The kids were always up for the adventures planned for us. We were always surrounded by nice people, good food and AMAZING scenery. Quite a family destination. From this experience makes us want to come back Mongolia, again and again and again. I was looking for an escorted trip that would show me the highlights of Mongolia in an authentic way, and Travel All Mongolia hit the spot. 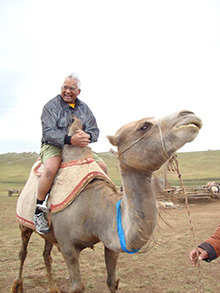 They're the only 100% Mongolian owned and operated tour operator there, and no matter where I wanted to go, they were accommodating and helpful. They are true "aficionados" of the destination and have a great network of resources all over the country. Thank you Soyoloo, Travel All Mongolia, for a wonderful trip! Wow! what an incredible trip. How are things in Mongolia? on behalf of all the participants I wish to thank you for all your kind and generous gesture you have done. We all had a great time and your country is fantastic. 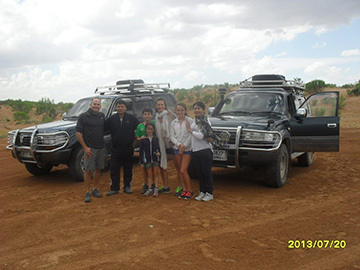 We did so much in such little time; we enjoyed the Gobi, the food, the sightseeing in U.B. We experience the country; the Flaming Cliffs, the Eagle Valley, the sand Dunes and the Petroglyphs. Everyone had such a good time and I hope that you will someday come visit us. We did quite a bit of shopping too, we were amazed by the sunrise and sunsets which were spectacular. 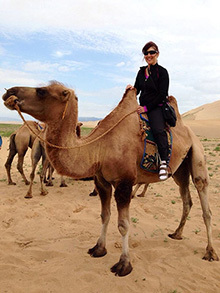 We are all going to promote Mongolia through clients, friends, colleagues, etc., We enjoyed the gers; riding the camels and your guide Bulgaa is excellent. We really appreciated having her tell us the stories about your country. The drivers both did their best, very good to us and careful with the roads and we had such a wonderful time. Again thank you; everyone on the tour joins me to thank you and wish you all the best to you and yours. Everything about the trip was great! 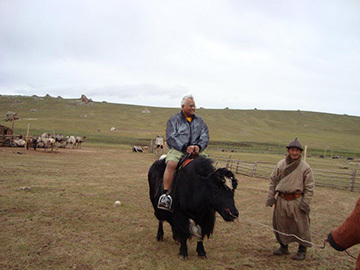 Operated smoothly if a problem arose, Travel All Mongolia resolved the issue immediately. Additional, unexpected activities the enhanced the program were added. Bulgaa was fantastic! One of the best guides i have had. Drivers were fun caring and had really great driving skills. Road were difficult and bumpy but drivers did an excellent job maneuvering vehicles. 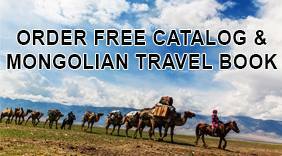 Overall, Travel All Mongolia did an excellent job providing top quality service that allowed me to thoroughly enjoy this beautiful country without having to worry about logistics. Our guide handled everything flawlessly! The drivers were awesome. I hope to come back in the near future and spend more time exploring. When you think about Mongolia, the first thing that comes to your mind is Genghis Khan, the tales of his achievements and the strength of his warriors. And then the desert, the Gobi, the dunes. A strange landscape that makes us running with imagination in geography books. Mongolia is much more: it is a country of dust, sounds, never-ending silence, and endless landscapes, horizons that seem to grow without end and without obstacles. Mongolia is reflected in people's eyes: peaceful, calm, always helpful and kind, fair … almost noble in their attitudes. People who live in gers (a name which will not say anything to most of Italian people) but that indicates typical tents where the nomadic Mongols lived and still live. Without continuous light, no running water, no comfort, no division of rooms and even less without bathroom. A tent where every day at any time you find a thermos full of hot water or airag (fermented milk, with a slightly salty taste and alcohol), ready for guests. A small cluster, a small world open to anyone who passes. No matter whom he is, where he comes from, what language he speaks. Just stop on the road (dusty way, sometimes there is not even a path and the driver moves like following an invisible line in the middle of the landscape). Someone will arrive in the saddle of his horse or riding a motorcycle. Probably it will be a child (they are entrusted to their family’s herds) and he will immediately try to figure out how to help. Because you do not stop in the desert, if you do not really need to. You constantly travel, ride, go. And when you leave Ulaanbaatar (or UB, as they call it) you’ll see just that: a long and vast prairie, always changing. Rockets, desert, dunes, mountains and plains. One day you are in t-shirt with 35 ° C. The day after you are obliged to wear gloves and scarf! Heaven and earth meet and touch (average altitude above sea level is from 1000 meters at least, UB is 1330 meters) ... in some places you believe you can touch the clouds. So it is not surprising to find out that one of the main deities is Tenger, the god of the sky. During night the sky is so beautiful and wonderful: immense, starry, where you even look at the shades of blue in the Milky Way (yes, they are not colors you see only in books!)... A sky without interruption of artificial lights for miles, surrounded by a silence that you never imagined could exist. A place to visit because it is one of the few places remaining natural on earth, innocent ... where children still accept a gift collecting it with open hands. Where children do not know what is a deflated balloon. Just to see their eyes lighting in discovering it, it's worth flying up to Mongolia! I traveled with Travel All Mongolia in Mongolia in the summer of 2010. Mr. SoyolBayar, the owner and operator. He knows the landscape and the history behind the various locations that we toured as a group of six. Our tour guide understands his clients taste and is good at custom arranging tours according to the requests of the travelers in his entourage. Our tour guide had everything well timed, and calling ahead he always had our arrival destination details ready and well prepared to accommodate us when we got to our location. The sights, the food, the reception, and the accommodations were excellent. His prices included everything; tickets to enter the shows, hotel accommodations, transport, food, and guided tours. 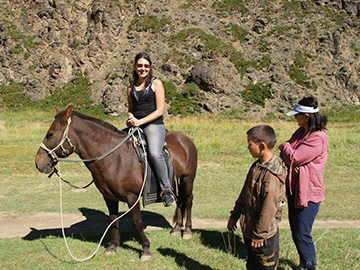 I recommend Travel All Mongolia without reservation to anyone who wishes to visit Mongolia. Mongolia is a beautiful country located in the Central Asian grasslands called the Steppes. It is a land-locked country, sandwiched between Russia and China. The wide open spaces and the friendliness of the people will leave you nostalgic for a land of extensive peacefulness and vastness, long after your visit. Mongolia is worth the visit, and Mongolian Journeys is your best bet at getting your money worth seeing this gorgeous land. I had an awesome time in Mongolia. I really came on the trip not knowing what to expect and honestly wasn't sure if it would be 'my thing' but you really did make it worth it and it was money well spent. Thank you for your friendly, fun and professional attitude. We had a blast! Listening to Mongolian music during the drive definitely added to the mood and experience. The wild horses were amazing and we took so many photos, it was so hard to choose the ones we wanted to print out for our photo album. I definitely recommend anyone who is up for an adventure, filled with culture and history and a very friendly tour guide- who basically becomes part of the family/group; to go for Travel All Mongolia. You will leave with not only leave with knowledge of the country's hidden treasures and secrets, but also FANTASTIC photos, a HUGE smile and SATISFACTION for your money well spent. seeing this gorgeous land. Thanks again Soyoloo It was really a great experience and filled with a lifetime of memories. Just want to thank you for your wonderful hospitality and expert tour guiding during our trip to Mongolia. We loved visiting the Husai National Park and exploring the city of Ulanbatar. Our favorite part of the trip was seeing the beautiful countryside and encountering wild horses camels and eagles. Thank you so much for showing us around and making sure our trip was a success. We also enjoyed our driver, Zoloo. Look forward to planning our next adventure with you. I'm Roberto Cattone, President Italian Association Latitudes. Last August I was lucky enough to accompagnarte Mongolia in a group of 40 cars, 2 trucks and 9 bikes. 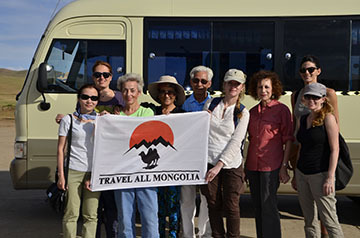 for this important journey we rely on the professionalism of Travel All Mongolia. When we arrived at the border from Siberia to the Italian speaking guide helped us practice and then accompanied us throughout the tour. Hotel booked on time Ulan Baatar and also a dinner at a local restaurant which was not planned. Excellent trip thanks to Travel All Mongolia and Mr. Soyoloo that may help you for any problem in Mongolia.